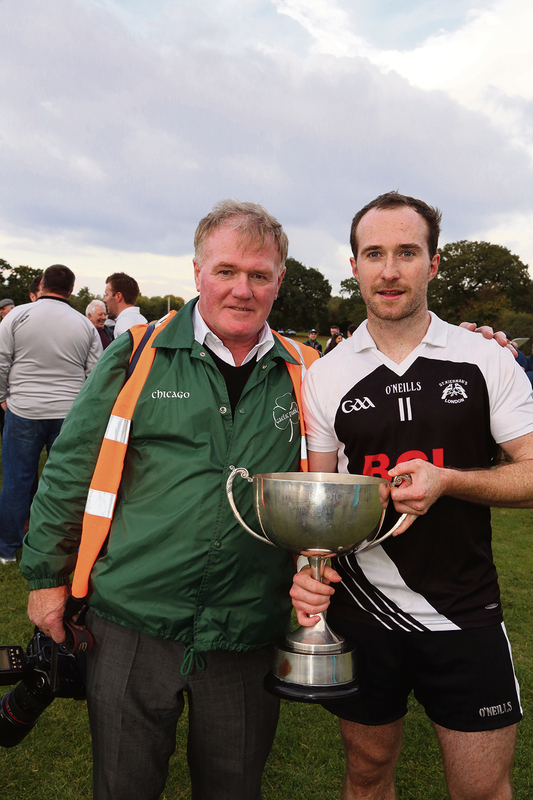 A hugely dominant performance saw St Kiernan’s claim their first ever London senior title after beating reigning champions Tir Chonaill Gaels in the county final. In a repeat of last year’s final the Kiernans drew from the experience of last year’s loss. 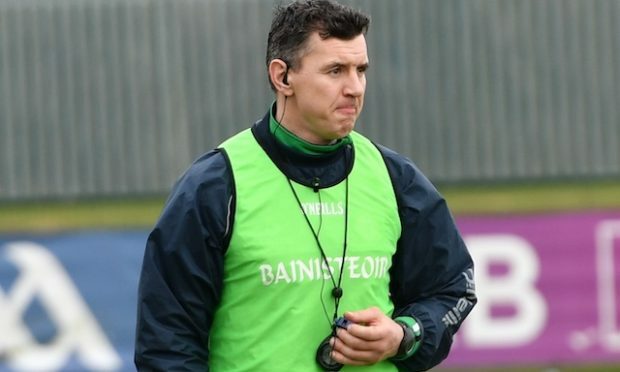 The management must be commended for their game-plan which saw them take complete control of the game from start to finish, and thwart the attacking prowess of the Gaels’ forwards. Linked with highly accurate kick-outs from Brendan Mulrooney, the speed of their players on the counter attack and the strength in midfield, the Kiernans, who have not changed much personnel from last season, have really progress since their 2015 loss. The Kiernans have established themselves as the county’s strongest football team consistently this year, having claimed a place in the final in all of the top tier competitions. But still they were underdogs with the bookies, with Paddy Power giving odds of 9-4 for them lifting the cup on Sunday, while a draw was 7-1 and TCG the overwhelming favourites at 4-9. 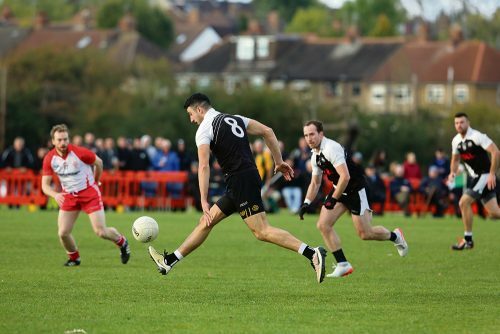 It was an uncharacteristic performance from Tir Chonaill Gaels, who only scored two points in the first half, and one in normal time of the second half before slotting away two consolation points in additional time. Their forwards, who proved so costly against Parnells in the final, were kept quiet for long periods, and a few too many out of character wides meant they could never really get a foothold on the game. The defending champions, who were contesting their fifth final in a row and seeking a record breaking 17th county title, were held pointless up until the 18th minute. Both sides exchanged wayward frees in the opening minutes before Michael Callery scored the opener on four minutes after being set up from a run by Mark ‘Scratch’ Mulholland. Mulholland undoubtedly won the man-of- the-match title, which was no easy feat considering the dominant performance of his whole team, for his tireless work rate and danger possessed when creating attacking play. A Michael O’Donoghue free next allowed Peter Finn the first goal attempt, with the nets failing to rattle for the game’s entirety, which was blocked before Callery’s rebound was once again saved by Gary Magee. Mulholland did well to intercept the clearance and win his side a free and these few minutes would set the tone for the next hour as the Kiernans ensured that the Gaels were under constant pressure on the ball. Mulholland set Callery up for the next point before James Moran and his captain Adrian Moyles linked up to give the captain his first score, and the Kiernans a 0-3 to nil lead after 15 minutes. Opposite captain Liam Gavaghan won his side’s next point when he was fouled for John McGrath to take his point easily, as Michael O’Donoghue responded immediately with a superb score to cancel it out. After 25 minutes the Gaels made their first meaningful attack as the impressive Stuart Johnston carried the ball out of the half back line for a selfmade point. 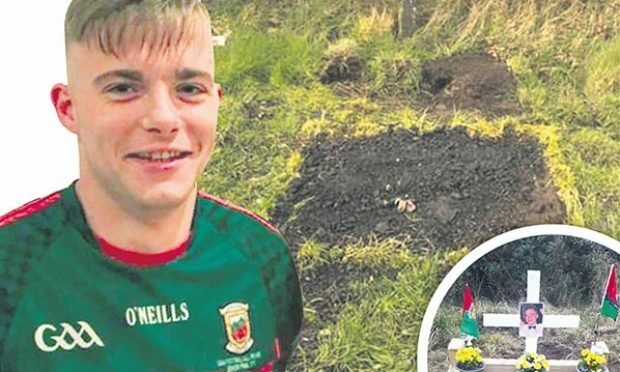 But, never letting their advantage slip or the Gaels catch their breath, the Kiernans cancelled it out straight away as Moran jumped on Michael O’Donoghue’s saved shot to slot away a mid-range point. The next opportunity fell to Adrian Hanlon who was on the end of a superb long ball from Marty McCoy, but unfortunate to find himself stuck to the posts with an almost impossible angle to score from. Philip Butler then started to work his way up from full-back and link up with his brother Killian, but there was no breaking through the extremely well-equipped Kiernans defence. McCoy would put in another clever ball but it wasn’t read by his forwards and eventually went out wide before the Kiernans sealed the first half with a score in the last play as Michael O’Donoghue and Mulholland worked well to set up Liam O’Donoghue for their sixth point. The Kiernans started where they left off in the second half as Michael O’Donoghue and Moyles added two more within ten minutes, before TCG scored their only point of normal time in the second half through Hanlon after some good work from substitute Mark Gottsche. But his introduction was not enough to break through the Kiernans midfield and defence before Michael O’Donoghue added another after slowing down play after a run down the left wing. Mulholland was rewarded for his efforts throughout the game after he put a ball into his fullforward but with the rub of the green and a bit of luck that he had earned with his performance, the ball dropped awkwardly in front of Eoin Higgins and bounced over his bar for a point. 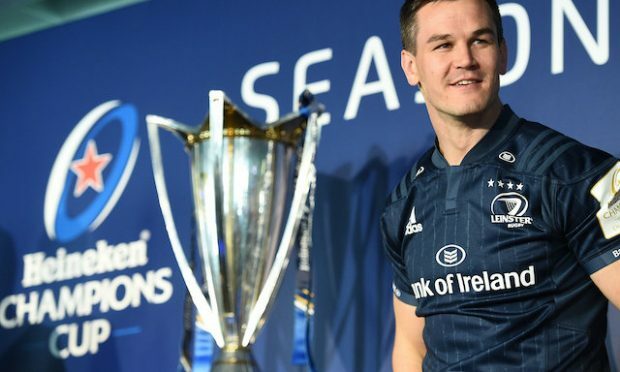 The 34-year-old was nearly embarrassed to celebrate as an ironic cheer came from the sidelines, but from then it was clear it was just going to be Kiernans’ day. The match came to a close soon after as the Kiernans stretched their lead even further, after a Mulholland interception on the full back line, no less, before Tom Waters got his name on the scoresheet before his captain added another. In between corner back Keith Curran was given a black card for a late melee, and referee Conor Conneely must also be mentioned for a great game which he left flow, and that was the first card shown, three minutes before the hour mark. The Gaels would get two consolation points in extra time through substitute Dillon Ward and Hanlon before the whistle blew to cheers from the men in black and white. The deserved winners will go on to face the Ulster champions on December 11. It is yet to be confirmed if it will be played in Greenford, after Tir Chonaill Park was inspected by a Croke Park representative on Sunday. See this week’s paper for more photos, team listings, Tir Chonaill Gaels’ reaction, and managers’ feedback.